RSM US LLP (“RSM”) – the nation’s leading provider of audit, tax and consulting services focused on the middle market – has announced Shawna M. Jimenez, CPA, has joined the firm’s Indianapolis tax practice. With 12 years of public accounting experience working with a Big Four firm, Jimenez has experience serving tax-exempt organizations in a variety of industries including healthcare, higher education, public foundations, student loan organizations and other public charities. 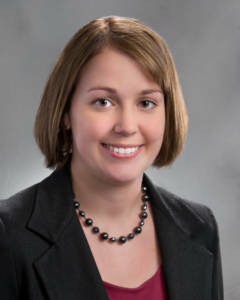 In her role with RSM, Jimenez will lead the not-for-profit tax practice in the state of Indiana. She will actively drive and support marketplace growth efforts throughout Indiana as well as the Great Lakes Region. Jimenez’s primary focus will be serving clients in the healthcare and higher education industries. She has experience advising tax-exempt organizations on a variety of complex issues including unrelated business income tax planning, IRS examination representation, compliance with Section 501(r) regulations, and consultation in connection with alternative investments. Jimenez holds an accounting degree from Indiana State University. She lives in Zionsville and has three year old boy/girl twins.